Vibrant colors, balayage, and dimensional highlight / lowlights are just a few of the major hair trends happening in 2019. More and more people are starting to make major changes (check out the platinum ombre below) but plenty of women opting for more subtle styles as well. Spring is also the perfect time to start the process if you are trying to go lighter for the summer. Add some beautiful pops of balayage to brighten up your hair for the spring! Vibrant violet red! The perfect change for a new season! Sun kissed balayage! This color creates subtle, yet beautiful dimension. Brighten up your brunette hair with some balayage! The perfect low maintenance color! Beautiful dimensional highlight and lowlight color. Cincy Beauty Parlour is celebrating their 1 year anniversary! Prior to starting their own business, co-owners Jessica and Ashley had been working at a high end salon on Beechmont Ave. for 5 years together. Ashley and Jessica have traveled around the country learning from the top professionals to bring the top styles back home to their salon in Cincinnati. 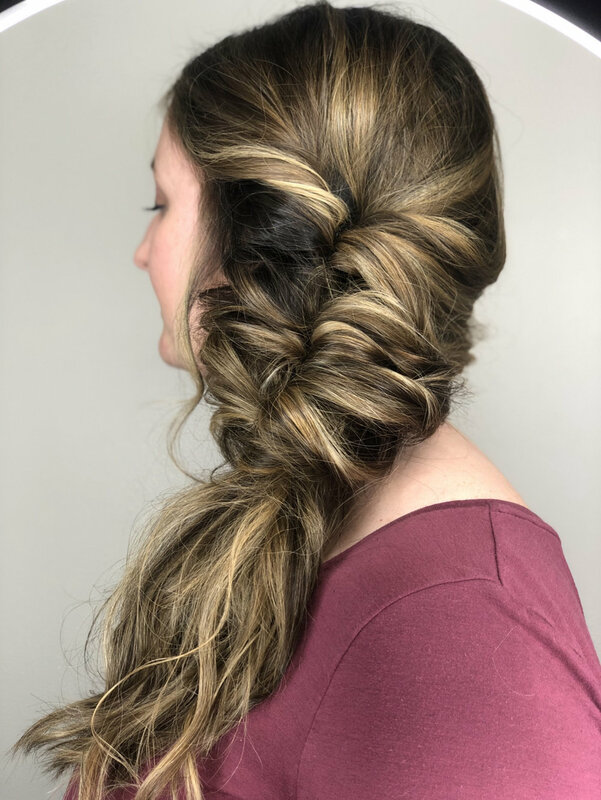 They have completed many continuing education programs and are familiar with all types of techniques from balayage to textured pixie haircuts! Jessica and Ashley at the grand opening of Cincy Beauty Parlour. Cincy Beauty Parlour loves working with all ages and specializes in all hair types including blonding, ombré, & thick / curly hair. With their professional experience they can properly recommend amazing hair products specifically tailored to you! Check out more of Jessica and Ashley’s work in their gallery. Check our their website or give them a call or text at (513) 620-4034. Cincy Beauty Parlour has also teamed up with Vagaro to offer easy online booking. Click “Book Now” to view prices or to schedule an appointment with a member of their team.